This might have been one of the best and cutest parts of the 2012 Olympic Opening Ceremony which took place in London. We saw the humorous side of the Queen that we had not seen before. 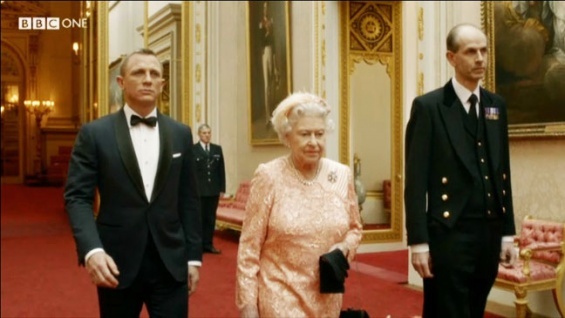 She got together with James Bond to make a grand entrance at the ceremony. Watch and enjoy! Next Dancing With The Stars All Star Cast Revealed! Yay!